Funny Earrings!! Wood parts and loops of silk yarn. 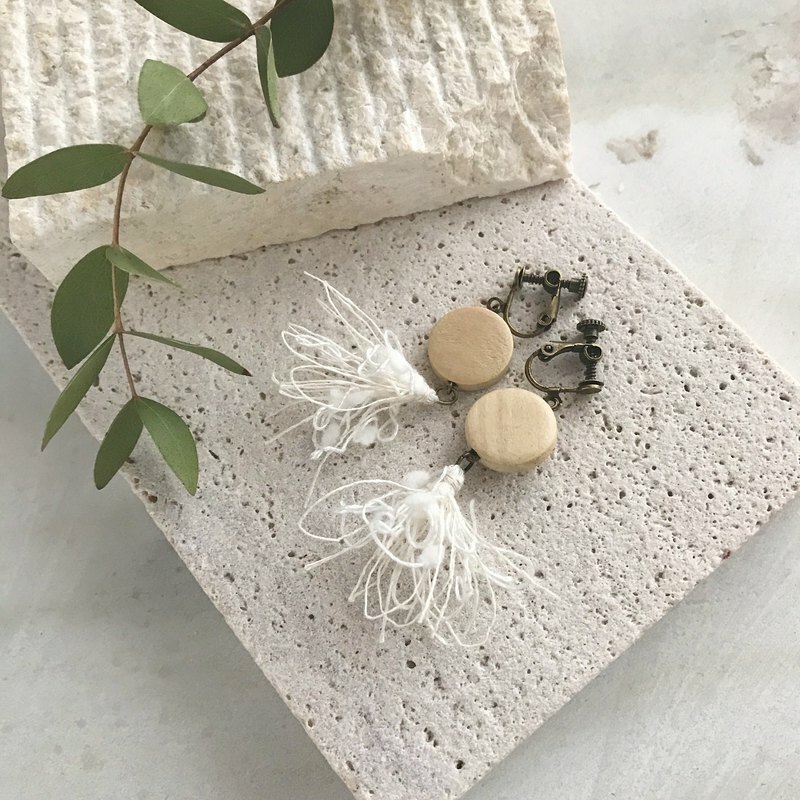 A combination of wood parts and loops of silk thread is a fun earring.